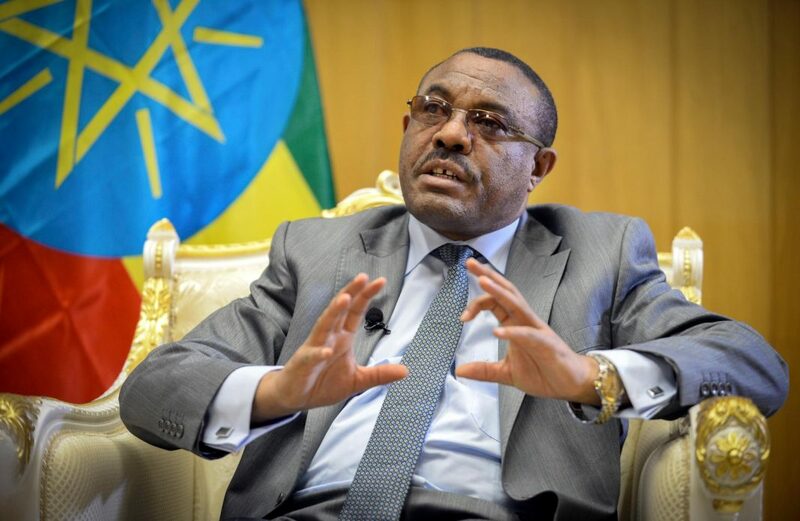 Prime Minister Hailemariam Dessalegn gives another reason for the conflict between the two regions in eastern part of the country than the previously mentioned border claim. He also mentioned that there is no specific law to limit the authority of regional police forces. Appearing before the House of People’s Representatives to respond to questions MPs raised on remarks made earlier by President Mulatu Teshome (PhD) while opening the current session of parliament, the Prime Minister said that the conflict that occurred in the last couple of months between Oromia and Ethiopia Somali regions which is followed by displacement is not related to border issues. Oromia regional government claimed that the special forces of Ethiopia Somali are engaged on killing civilians in its region at the border area. Some of the experts said that the conflict is not new while the recent incident is contributed to displaced civilians. One parliament member stated that about 13 years ago there has been a referendum at the border areas that the two regional states claimed. He asked the PM why it is not yet applicable until now. The PM in his response said that the issue is not related with border claim. “In my view the conflict is not related with border claim, it is related with political and economic issues,” he said. “There are political forces that are trying to divide the society. It has to be solved,” he added. He said that he has been discussing with the regional heads on the issue but there are problems that are not solved that are linked with rent seeking. “There is interest to monopolize the Khat business and illegal hard currency smuggling is also the other reason for the current conflict which is covered by ethnic conflict. But there is no conflict between the people at the area,” he said. He added that within a single month the government seized about USD 2 million that was meant to be smuggled out. “These illegal actors that use some regional leaders created the conflict to manage their business as usual,” he added. He said that the referendum shall be applicable since it has been accepted by the community but the major issue is diminishing the rent seeking attitude. He also defended the claim that the defense force was lagging behind to take action on the conflict. He said that the defense force has contributed to calm the situation within few periods. Some individuals claimed that the federal government force is not in full control and cannot calm the situation in the two regions. Another parliament member also asked the PM that there is a special force, which is organized as a defense force that take control on border conflict and contributed for the death of several people. He further noted that the instability in the region is aggravated by the special force, a force organized under Ethiopia Somali Region. The PM said that the constitution article 55 sub-article 7 stated that the parliament should ratify a standard for regional police force in the country. He said that the parliament has to ratify the standard for the capacity of regional or federal police. He further said that the problem is not related with the name of special force or regular force. “The force, special force or regular police, have participated on the conflict, due to lack of understanding,” the PM said. “The police force has to be established under the constitution, otherwise they will participate in such conflicts,” he added. He said that draft standard has been developed to establish regular police and it shall be ratified by the parliament. The PM also explained about the recent 15 percent birr devaluation against major currencies. He said that the devaluation would benefit the economy and will encourage farmers who produce export commodity to boost their production. The birr strength discouraged farmers who produce export commodities like sesame since they are unable to get adequate income, according to the PM. Some economists claimed that the devaluation with this percentage will affect the market activity and economic growth of the country. They said that it shall also hamper the government strategy that targeted to join the middle income country lists by 2025. “Technically the devaluation has also contributed to shrink the current GDP or per capita amount that the government stated,” they argued. However the government ridicule the claim and said that the devaluation is applied based on detailed studies. “The farmers have to produce for market, particularly for foreign market and that encourage them to work more,” Hailemariam said. “Due to that we have to weight our currency value with other major currency to gain more,” he added. “As you well know for the past few years our export was stagnant than registering growth, but at the same time due to the effort that we have done in the past the export commodity production has grown by up to 30 percent but the export revenue did not register significant growth. It shall discourage the farmers to produce commodity like coffee or sesame,” he added. He said that the manufacturing industry that is growing shall be affected by the local currency strength since the profit from export is not encouraging. The PM said that tariff adjustment on electricity and water will not be applicable. The PM has also hinted that the government will take measure on the black market activity besides controlling the contraband business.